E-Linking's thermally conductive formulations offer high bond strength and outstanding heat dissipation properties.E-Linking's thermally conductive materials offer superior heat dissipation for a wide range of electronic applications. Both one and two component systems are available for use. They include epoxies, silicones and elastomeric products. 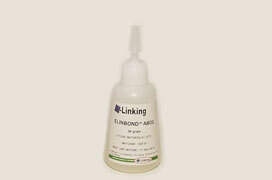 Special formulations designed for unusual service conditions are also available. E-Linking has also developed products with enhanced heat dissipation properties that also offer electrical conductivity. Most noteworthy are nickel, silver coated nickel and silver filled products.These compounds contain a variety of fillers in different particle sizes and are designed for easy dispensing with standard application equipment. 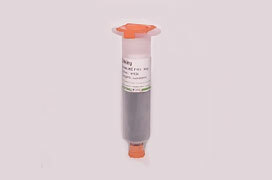 ELINDUCT E323 Ultra High thermal Conductivity, Die Attach Adhesive. Thixotropic, Excellent Dispensability; High strength, High reliability; High thermal conductivity, Provides a conductive heat path.